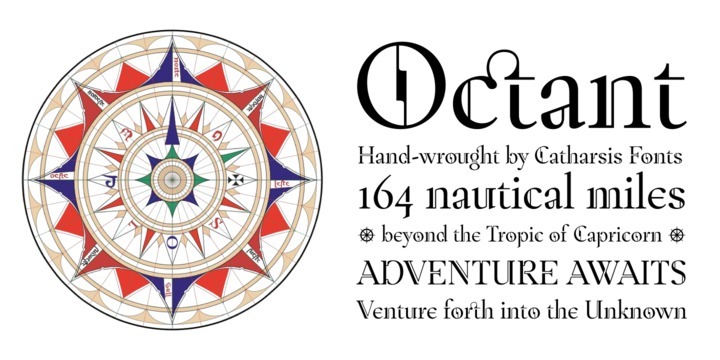 Octant is a typeface created by Christian Thalmann and published by Catharsis Fonts. This font was inspired by Victorian-age steel and brass engineering. Anso you have an extensive language support and a generous collection of ligatures. Have fun! A font description published on Friday, March 1st, 2013 in Catharsis Fonts, Fonts by Alexandra that has 4,648 views.